If you give a man a fish, you’ll feed him for a day. If you give a man the Reel Em In Slot jackpot, you feed him for a lifetime. It’s hook, line, and sinker with the Reel Em In Big Bass Bucks Slot by Williams Interactive (aka WMS Gaming). The Reel Em Slot contains 20 paylines filled with a Wild symbol along with 3 different Bonus symbols that reward players with extra payouts. Picture a sunny morning, out on the river, casting a line into the water. Suddenly, you feel a tug on the line. With much effort, you struggle to pull in the reel until the big catch falls in your lap. Instead of a fish, it’s a giant cash payout! If that were the case, people would quit their jobs and go fishing every day. 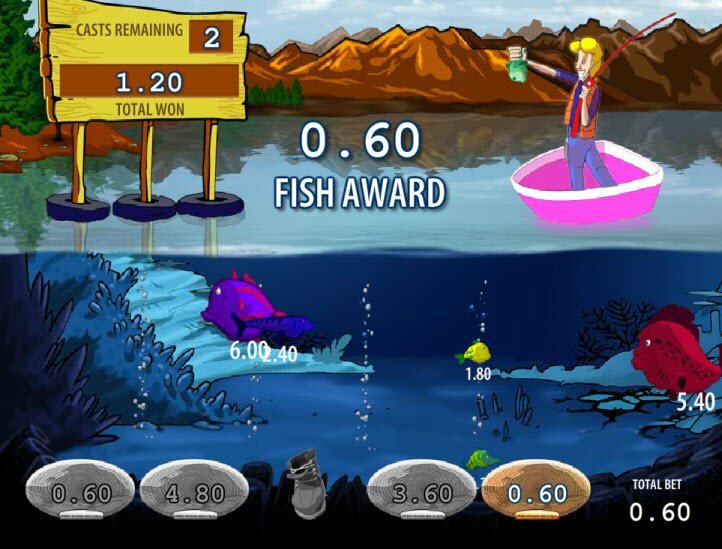 The Reel Em In Big Bass Bucks Slot makes winning cash that simple with just a cast of the reels. So the graphics could use some improvement. The two dimensional fish don’t impress, especially with so many 3D Slots out there. However, the Reel Em In graphics still have some pluses, especially for those who love to fish. 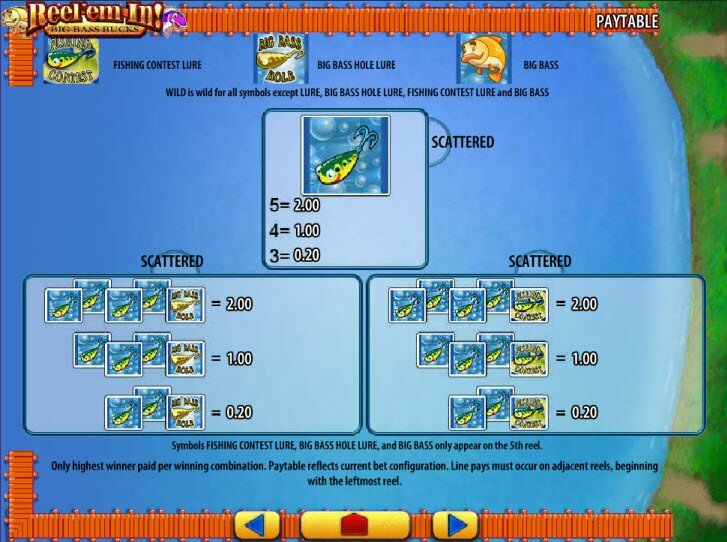 During winning combinations, the fish spin in excitement. Behind the machine, fish swim by while water bubbles between the reels. 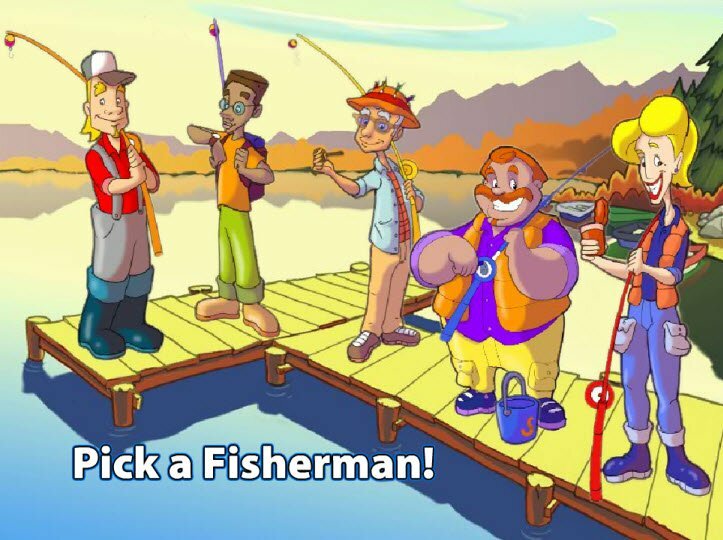 If you love to fish, then this really makes the perfect online casino game. The Reel Em In Slot contains 3 different Bonus symbols; the Fishing Contest Lure, the Big Bass Lure, and the Big Bass. With the right combination, these 3 special symbols trigger special game features that award extra prizes. The Reel Em In Slot contains 3 different Bonus symbols; the Fishing Contest Lure, the Big Bass Lure, and the Big Bass. With the right combination, these 3 special symbols trigger special game features that award extra prizes. For example, 2 or more scatted Lure images and a scattered Fishing Content Lure on the 5th reel activate the Fishing Contest Feature. The Fly Fishing Feature activates when a Fly appears above the 5th reel with a scattered bass on the 5th reel. The Feature grants a 10X Multplier. Reel Em In Slot Bonuses also include a Wild symbol which substitutes for all symbols except the 3 Bonus symbols. The Auto-spin Feature, something typically found on most games, makes the reels automatically spin so you can sit back and relax while the payouts roll in. The graphics aren’t the greatest, but his slot is worth playing for its bonus games.